The ‘Border War,’ a college rivalry well over 100 years old, made history on Friday morning, as the ROTC from Fort Collins began their march with the game ball, 60-plus miles to the northwest with Laramie on their minds. It marks the 50th boot run, and the first to begin in the all-new on-campus stadium in Fort Collins for Colorado State. 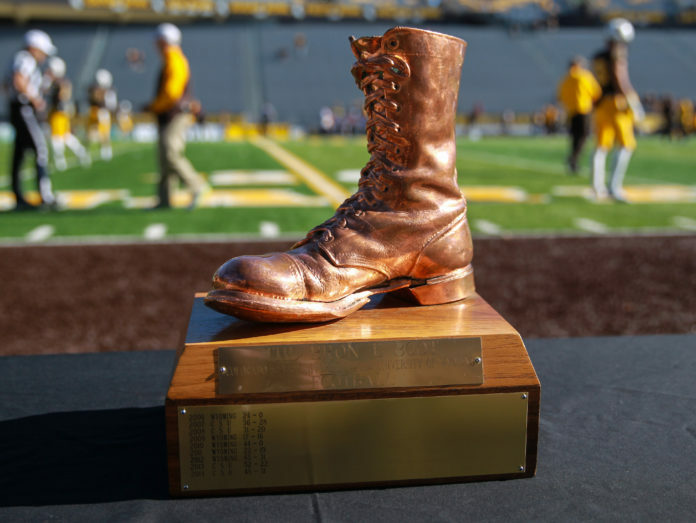 The Rams will face the Wyoming Cowboys on Saturday night, 5pm at War Memorial Stadium in Laramie for the ‘Bronze Boot.’ Colorado State leads the all-time series head-to-head, 58–45–5. You can catch the pre-game brodcast of the ‘Border War’ on Mile High Sports Radio, AM 1340 | FM 104.7 starting at 3pm, leading up to kick-off. 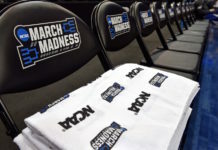 Mile High Sports Radio is your Denver home for Colorado State athletics.